Note: Coupons are not always available to print. If you don't see coupons check back another time. Get $1 off dry dog food, $1 off when you buy 6 cans of Pedigree wet, or $1 Off dog treats. 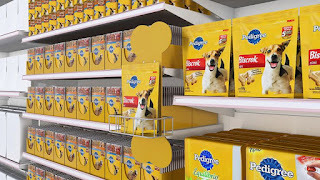 Various printable coupons for dog food, coupons vary every month for different pet manufacturers. Print coupons for Pedigree, Purina one, Beyond, Rachael Ray Nutrish, Bella small dog food, and more. You can print more dog food coupons here for Target stores. For those of you who like to order pedigree dog food online, click to see all pedigree products with subscribe and save on Amazon and save 15%.